The coolest repairman you know! 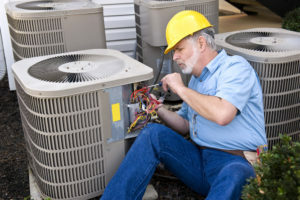 CALL US TODAY FOR A FREE ESTIMATE ON REPAIRING YOUR AC! Call us for all your Heating and Air Conditioning needs! Your heating and cooling system is something you don’t give much thought to until it stops working. But oh boy do you notice when the air conditioning stops working mid-August! Having your heating and air conditioning functioning properly affects the comfort of your home or business. We understand this and are dedicated to helping you as soon as possible after receiving your call. Have you noticed a higher utility bill lately? If you have checked the most obvious things, such us an open window, or poor insulation, you may have a problem with your HVAC system, especially if you are sure you haven’t been using that much extra heating or cooling. The most common reason for new installs is a new home or building, but we also can help you if you are needing to replace an existing system. We would be happy to discuss what would be the best option for your needs and budget. We won’t push a system on you that isn’t a good fit. SO MD Boys HVAC Repair has been doing business in Southern Maryland since 1983. We know the state, local, and national codes like the back of our hand and sometimes snore them in our sleep. We’ve made repairs in house after house in Mechanicsville of St. Mary’s County, but we service all over the tri-county area including Charles and Calvert county, Anne Arundel and P.G. County.